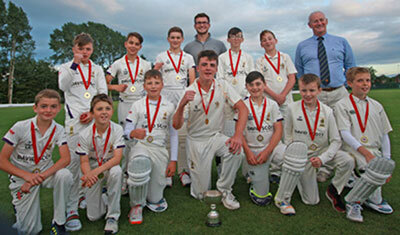 Rory Ellerby hit 48 as Instonians beat CIYMS by seven wickets to lift the Banogue Cup at Belmont. The NCU player struck eight boundaries as the Shaw's Bridge youngsters chased 100 to win with six overs to spare. Tom Crothers made an unbeaten 23, while George Palmer (11) also reached double figures in a fine batting effort. The CIYMS innings of 99 for 4 was based around a well made 42 from opener Carson McCullough which included seven boundaries. Ethan Trill chipped in with 17 as Instonians' bowling unit kept a tight grip on proceedings. George Palmer (2-14) and Ben McCausland (2-19) were the Instonians wicket takers. The victory follows Instonians win in the U11 Quoile Cup last week, and is a great reflection on the work carried out by their youth coaches.